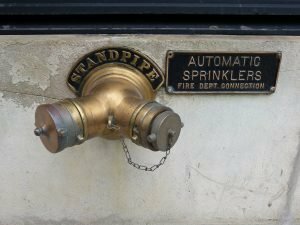 Standard Spray Sprinklers are comprised of two responses: standard and quick. 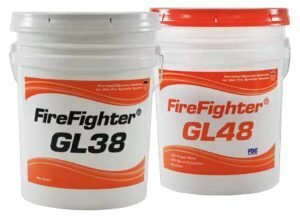 Together they offer a wide range of sprinklers from which to choose when designing a standard coverage fire sprinkler system. 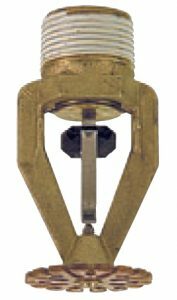 Series TY-B bulb type sprinklers are available in a variety of attractive finishes that blend well with their surroundings. When in service, a small bubble in the fluid contained in the bulb compensates for normal temperature changes. When heated, the fluid in the bulb expands and shatters the bulb, allowing water to be discharged. 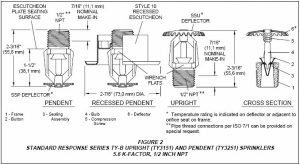 Series TY-L solder type sprinklers employ a link whose two sections are joined by solder with a predetermined temperature rating. Heat absorbed by the link is conducted directly to the soldered joint. When the solder melts, the link springs apart, releasing water that strikes the sprinkler deflector. 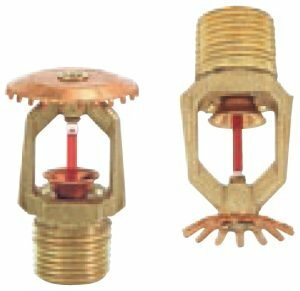 Quick Response Sprinklers are designed with a 3mm bulb or small nickel link to react more quickly at the specified temperature. 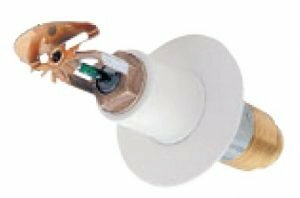 They are available in pendent, upright, recessed, concealed, vertical sidewall, and horizontal sidewall styles. 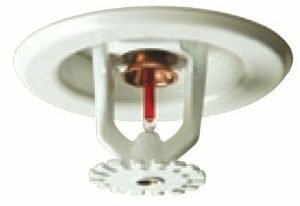 The narrow profile bulbs and attractive finishes of the Series TY-FRB provide specifiers with a wide variety of sprinklers for use in quick response applications. 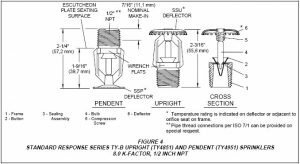 The versatile Quick Response TY-FRL Series provides the specifier with a solder type sprinkler for most commercial and industrial applications. 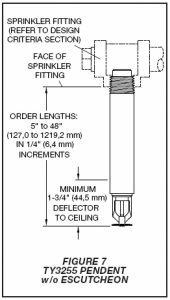 Dry Sprinklers have been specifically designed for areas in which the sprinkler may be subjected to freezing conditions. 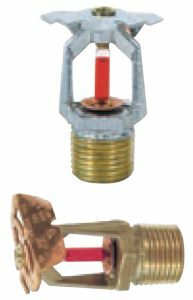 These sprinklers have been developed for use in all standard applications, as well as multiple unique scenarios. 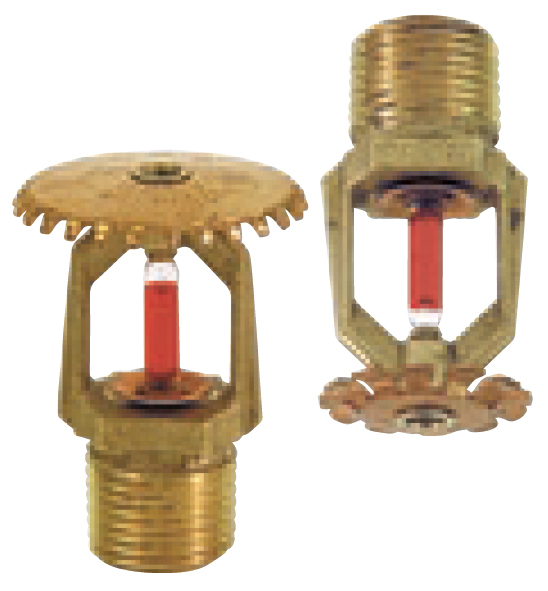 TFBP Dry Sprinklers are available in both quick and standard response, and come in a variety of finishes. 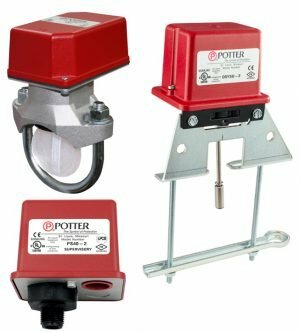 These features, and the advanced engineering in the development of these sprinklers, offer the industry the most complete line of dry sprinklers available. Most models are listed in lengths up to 4′-0″. The extended escutcheon option has up to 3″ of adjustment. 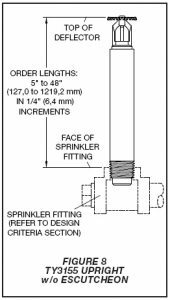 Extended Coverage Sprinklers are intended for the protection of areas larger than those specified in standard installation rules and for specific light, ordinary, or extra hazard occupancies. 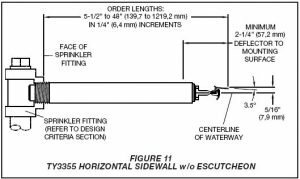 Extended coverage sprinklers are available in both standard response (EC) and quick response (QR-EC). They are available in upright, pendent, horizontal sidewall and recessed horizontal sidewall. 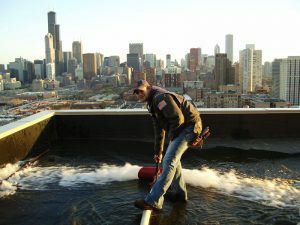 These sprinklers are typically used in hotels, restaurants, office buildings, warehouses, and other areas where it is desirable to reduce the overall number of required sprinklers. Storage Sprinklers are intended for use in specific applications, including the protection of high-piled and rack storage of a variety of finished goods. These sprinklers can provide more water at lower pressures or more water over a greater area of coverage. In many instances, use of the storage sprinklers can eliminate the need for additional in-rack sprinklers. 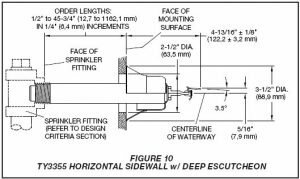 Intermediate level (in-rack) sprinklers are designed for use in rack storage sprinkler systems, where their thermally sensitive elements must be shielded from the water spray of higher elevation sprinklers that could operate during a fire. 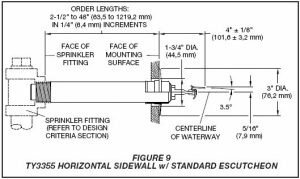 Intermediate Level Sprinklers are also used in applications such as beneath open gridded catwalks. 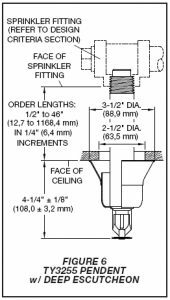 These sprinklers are intended for use in fire sprinkler systems designed in accordance with the standard installation rules recognized by the applicable Listing or Approval agency (e.g., FM approval and UL Listing is based on NFPA requirements). 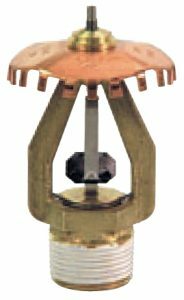 Residential Sprinklers offer the optimum design and flow characteristics for all residential applications. 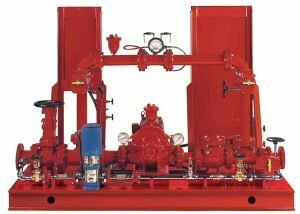 With k-factors as low as 4.2, the flow requirements are the lowest in the industry. 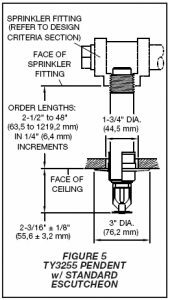 Other advantages are listings for beam ceilings and for sloped ceilings to an 8:12 pitch. 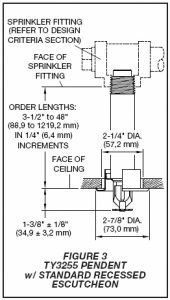 These unique features avoid obstruction to the sprinkler’s discharge pattern without adding additional sprinklers.